Public Domain Picture: This diagram illustrates the methods by which the arbovirus, yellow fever is transmitted to humans and non-human primate hosts by Aedes spp. This diagram illustrates the methods by which the arbovirus, yellow fever is transmitted to humans and non-human primate hosts by Aedes spp. 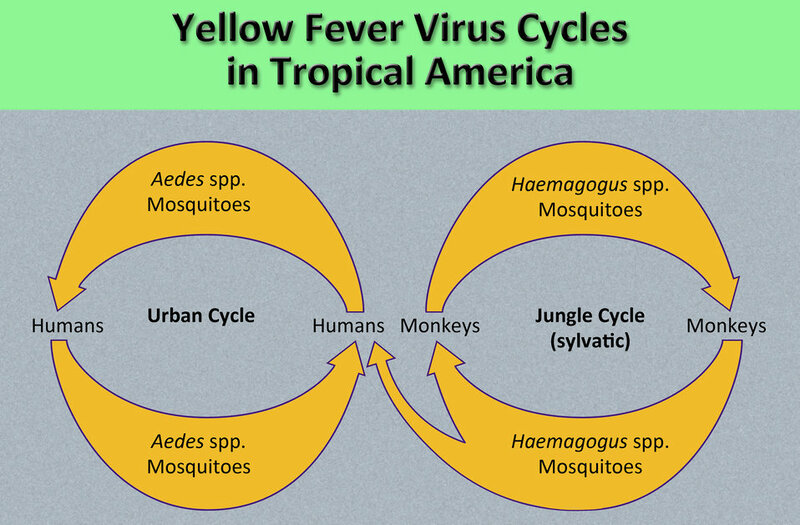 This diagram illustrates the methods by which the arbovirus, yellow fever is transmitted to humans and non-human primate hosts by Aedes spp. mosquitoes, in the case of human transmission, and Haemagogus spp. mosquitoes, in the case of both non-human primates and humans.